Special lengths, diameters and micron levels available upon request. 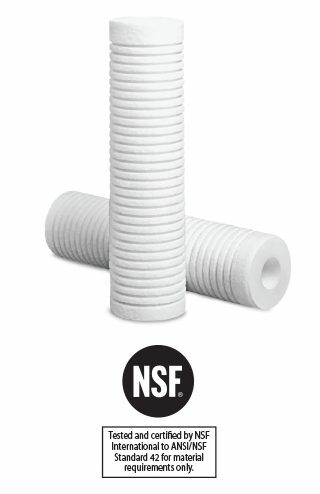 are a reliable and economical solution for pre filtration in many applications. 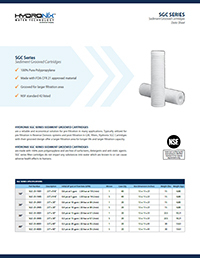 Typically utilized for pre filtration in Reverse Osmosis systems and post filtration in GAC filters, Hydronix SGC Cartridges with their grooved design offer a larger filtration area for longer life and larger filtration capacity. *For more detailed information, please refer to the product specifications sheet.